This book, which I’ve been reading over the past week or so and just finished about thirty minutes ago with tears in my eyes, kind of blew me away. My husband bought this book for me on a whim a while back (sweet man – he knows that the way to my heart is through books), and it sat on my to-read shelf gathering dust with a lot of other books until I recently read One Thousand White Women for my book club. I found that book to be a pretty romanticized and often cheesy depiction of life with Indians in the untamed American west, and it left me very curious about what life was really like in that time and place. Empire of the Summer Moon delivers. Told in meticulous and beautiful detail, this historical account of the rise and fall of the Comanches, the most fierce and powerful Indian tribe America ever saw, is absolutely riveting – and in some ways turned my ideas about “how the west was won” upside down. Despite the sanitized version of history I grew up with in school, there has always been the knowledge that the Indians were here first, and the white people came along and spread disease, enslaved Indians, and stole their land. The truth, apparently, is more complicated than that. While it is true that the white people did those things, it’s also true that long before white people came to America, the Indians were fighting each other, as well as Spaniards and Mexicans over land, and murdering and enslaving each other. America has a bloody, bloody history dating back to the very beginning. 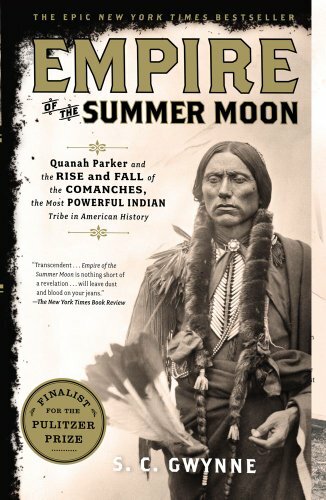 Central to this historical account of the Comanches are the stories of Cynthia Ann Parker and her son, Quanah. In the 1830s whites began settling in Texas – at the time, a desolate land isolated from civilization. The land was virtually free for the taking, but whites venturing there were taking their lives into their own hands, as the Indian presence was a grave menace. The Parker family was one such family that, despite terrible danger, decided to settle in the southern part of Texas. They built a fort to protect themselves against enemy Indians – a collection of log cabins to house the extensive family, a main fort, all fenced in by razor-sharp cedar posts and a reinforced, bullet-proof gate. On a fateful day in 1836, however, the gate was left open, and the fort was raided by Indians. Many Parker family members were killed, and a handful taken prisoner by the Comanches – among them, nine-year old, blonde, blue-eyed Cynthia Ann. 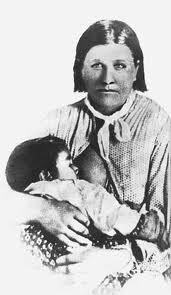 While the other prisoners were eventually killed or ransomed back to their white kinsfolk, Cynthia Ann was adopted by the Comanches and fully assimilated into the tribe – so much so that future attempts by whites to buy her back from the Comanches failed – she flat out refused to leave her Indian family. She married and had three children and spent twenty-five years as a full-fledged Comanche Indian squaw. Eventually, she was captured by whites and returned, against her will, to her white relatives, where she spent several miserable, despondent years until her death. Cynthia Ann’s story is heart-wrenching, and raises ethical and humanitarian questions that are impossible to answer. One of her children was Quanah, twelve years old at the time of his mother’s re-capture by white men. Quanah went on to become a great Comanche warrior and war chief, and was one of the last hold-outs of the Comanche nation against the whites. Eventually the Comanches numbers dwindled thanks to buffalo hunters that virtually wiped out the Indians’ food supply over a period of years, to white man’s diseases, and actual combat between whites and Indians, and the last of the Comanches, led by Quanah, surrendered and began the demoralization of reservation life. 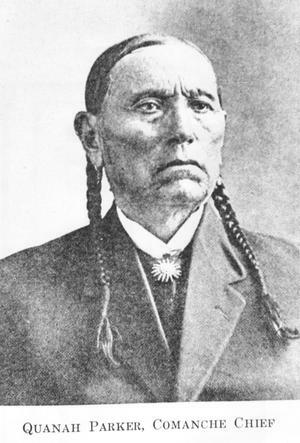 Somehow Quanah assimilated well into the white man’s world, refusing to look back, and he became a highly respected and prosperous man. Quanah never forgot his mother, Cynthia Ann, and his search for her grave and insistence on being buried next to her were extremely moving. This frank history is not for the faint of heart; it is filled with graphic accounts of horrific, almost unimaginable atrocities Indians perpetrated on whites, on other Indians, and which whites committed against Indians. There were parts that actually gave me bad dreams. Nonetheless, it’s a necessary read, I think, for anyone who wants to understand the true history of America – or at least an integral portion of that history. Despite the heinous, bloody crimes of the Comanches, I was left at the end feeling a great sense of loss for the majestic days when the Indians roamed free and wild.